The Principal Features of Nineteenth Century Economic Development. 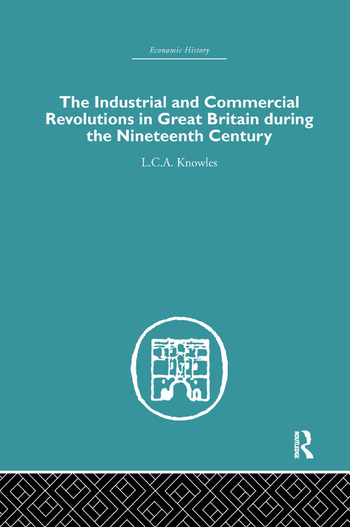 (i) Features of the Industrial Revolution. (a) The Spinning of Cotton and Wool. (c) Linen, Lace and Hosiery. Development of Engineering and Coal Mining. (a) The Reluctance to abandon Family Work. (b) Reluctance of the Employer to embark on Factory Production. (c) Growth of Population relieved the Scarcity of Hands. (d) Development of Engineering and Coal Mining. (a) 1793–I815. The period of the French Wars. (b) 1815–1830 Reaction after the Wars. (c) 1830–1850. Period of Reforms. (d) 1850–1873. The Good Years. (e) 1873–1886. The Great Depression. (i) The Revolution in the Importance of Continental Areas. (a) 1821–1844. The Period of Experiment. (b) 1844–1873. The Consolidation of the Lines. (c) 1873–1893. The Development of State Control. (d) 1893–1914. Amalgamations and the Question of Nationalization. (a) Free Trade in Shipping. (b) The Coming of the Steamship and the Continuous Change in Technique. (c) The Supremacy of the United Kingdom in Shipbuilding and in the Carrying Trades. (d) The Growth of Foreign Shipping. (e) Combination in the Shipping World. (f) The Government and Shipping. (b) 1783–1870. The Period of Drift. (c) 1870–1895, The Creation of New Colonial Values by Mechanical Transport. (a) The attempted Anglicisation of Ireland. (b) The Suppression of Competition in Ireland. 1660–1783. (c) The Equal Treatment of Great Britain and Ireland. 1801–1870. (d) Constructive Policy for Ireland.